Want to add some style to your car? 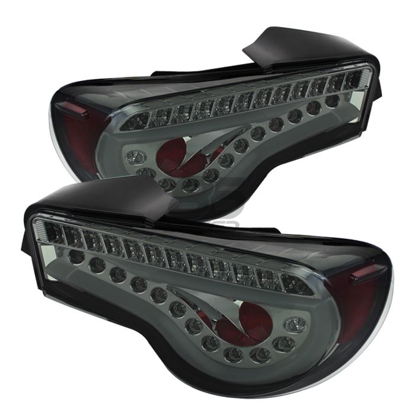 Then these Helix crystal smoked sidemarkers are just for you! They come in various colors, with these being the JDM style crystal smoked. We also give you FREE light bulbs to go along with them! Take your pick between white or amber bulbs. Nice touch to change out the stock amber lights. Install was easy and fit was perfect. And the LED's are nice, too. Fast shipping! Perfect fit! Perfect color and bulbs! Looks way better on my car then the yellow side markers did! I like them a lot better! Dark smoke blends flawlessly with Dark Gray Metallic BRZ. The reason for dinging a star is the A-clip delivers too close to the side marker and makes the install infinitely more difficult. I had to locate a video online showing that the A-clip must be bent 2 mm away from side marker in order to clip-in. My driver's Helix still isn't flush but I'm afraid to break the clip. The installation was pretty simple and fast at first. I thought my LEDs didn't work but apparently they have to face only one certain way (Instructions would be nice) , unlike the stock amber ones. The FIRST time I took BOTH Helix markers off to try the LEDs again the A clip, the one that does all the work , broke on both of them. I also used the most gentle pressure. Ended up putting stock A clip in the markers. However, the look and fit is nice. Like it very much..fitment is pretty on point. Driver side has condensation. I've read online it's a common problem. If you do order these do yourself a favor and seal the edges before installing to be safe. I wanted to get rid of the yellow factory side markers and get something that blended in well with my Dark Gray Metallic BRZ. 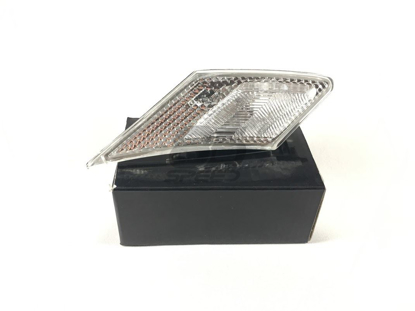 So I looked through the site and found the Helix Smoked Clear Side Markers. Install was easy & fitment was perfect. Blends in great with the vehicle. 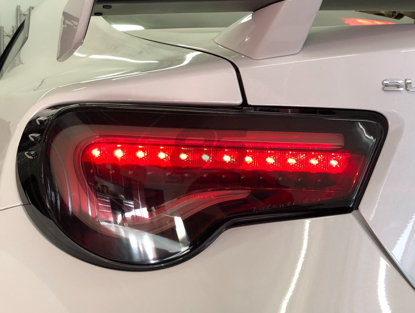 Highly recommend this modification for anyone wanting to change their look on the BRZ/FR-S.
Looks great on white since I'm going for a black/White theme. The side markers don't seem to snap back in place but haven't wiggled loose or anything since the install driven around 50 miles so far. Other than that they fit perfectly into the stock locations. Chose the T10 white leds bulbs. They are really bright. I really love the look they give to my whiteout FRS. It matches my smoked Winjet headlights. The installation is a little tricky but there are many tutorials on Youtube to guide you. Also I had to slightly bend out and adjust the (A ) metal clip on the left light so it can properly lock into the socket. Install went easier than anticipated, i had no issues with the A clip like some people mentioned so that was surprising. Took 10 minutes to do both sides and they look phenomenal! Ordered these side markets just because my OEM clip broke off. Shipping was very fast and fitment was spot on and the free LED bulbs was a big plus. Definitely recommend ! These side markers match the trim inside the stock 2016 BRZ headlights beautifully, giving the front end a nice consistent theme. Removal of the stock side markers took a bit more elbow grease than expected but once they were removed the new ones popped right in. LEDs are nice and bright even during the day. soooo, going from this to those ugly orange side markers was the greatest decision i can make! it totally changes the look of your car & makes it look less..cheap? lol. definitely a good, nonexpensive part to add to your FRS/BRZ. installation took me..15 minutes. this ishhhh was CAKE! & fitment is 4/5 not very flushed BUT no one will ever notice, unless you tell them. 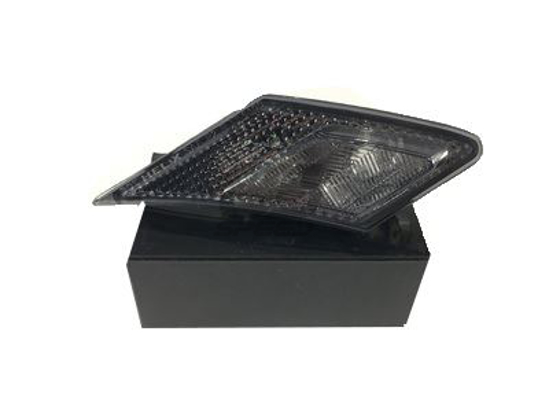 Best alternative to the OEM JDM markets and smoked too with free LED bulbs also. 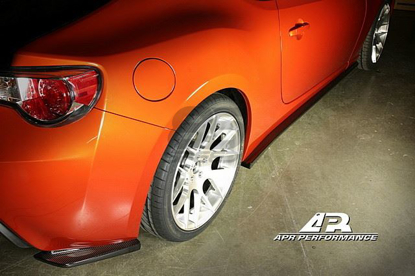 Gives you that look for fraction of the cost of the OEM side markers. Definitely a must buy. these are so much better than the original orange ones that come with the car. They give the car a much cleaner look and they're pretty easy to install. Purchasing from Hawaii, delayed for one business day, contact was prompt. Installation on my 2017 86 was pretty straight forward, just be careful when clipping into the slot, bottom part came in contact with the slot while sliding into it some paint on the car came off, not very noticeable unless viewed up close. Free LED lights is a no brainer. Waterproof when fitted correctly. Would recommend. Will do business again. Great product, a must buy. A must buy that changes the look of car Easy install. Super fast shipping. Great product, makes a huge difference. Easy install, looks way better than the oem side-markers . I got the white LED bulbs, super clean. Fitment is spot on, smoked color is nice and dark. Made sure there were no leaks before install by submerging them in water, they didn't leak unlike some observerations in the forums. 1 star off since brightness at night isn't quite as bright as stock when off-axis. It looks really nice after installation. I found that the clips snapped in well and they held really nicely. The only problem was fitting the bulb into the light housing. It was a little more difficult than OEM. Had to man handle it a bit but in the end it fit in there snugly. 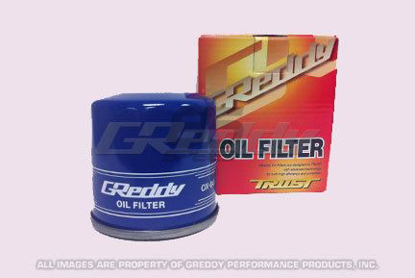 Overall, good product. This is one of those items that a small in size but make a huge difference in the overall look of the car. My Series.Yellow comes with lots of black accents from the factory and those factory orange lights where hideous. These smoked lights really set off the car. and the Orange LEDs shine through it well during dark hours. 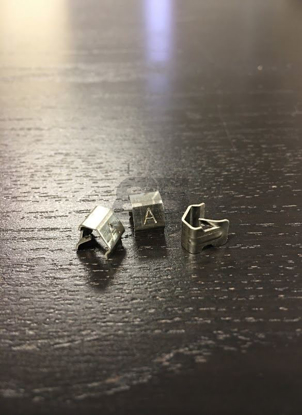 BUT DO YOURSELF A FAVOR, order some "A" clips too just to have on hand. Gives it a good look wayyy better than the stocks! Looks great. Easy installation. It's even better with the free LED lights that come with them. I don't know anyone that is a fan of the orange side markers on these beautiful cars. I installed these as soon as I got them and they fit perfectly. They look incredible on my Dark Grey Metallic BRZ and the included white LED bulbs match the headlights! Just watch a video or two before installation and take your time with the clips and positioning. I had very little trouble getting everything to fit snug and work properly. PERFECT! Fits and STAYS PUT. Nice and streamlined and lined perfectly with my bumper. One of the easiest installs for side marker lights. The fit is perfect and snug. The smoked lights look great nand cat to subie blue!